Cave with wooden closure, at around 4,500m altitude. 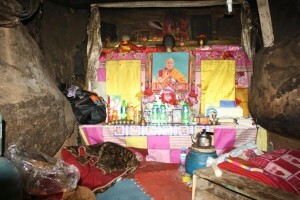 Caves like these are estimated to be a few hundred in the mountains surrounding Dzogchen. 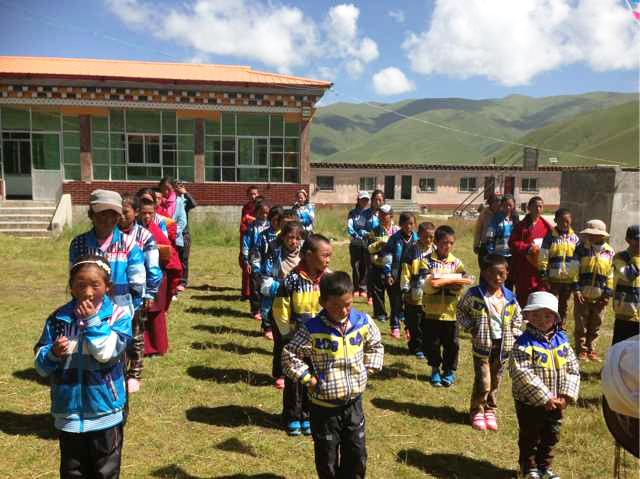 In the Dzogchen area, its culture steeped in Buddhism, meditation retreats are an age-old tradition. 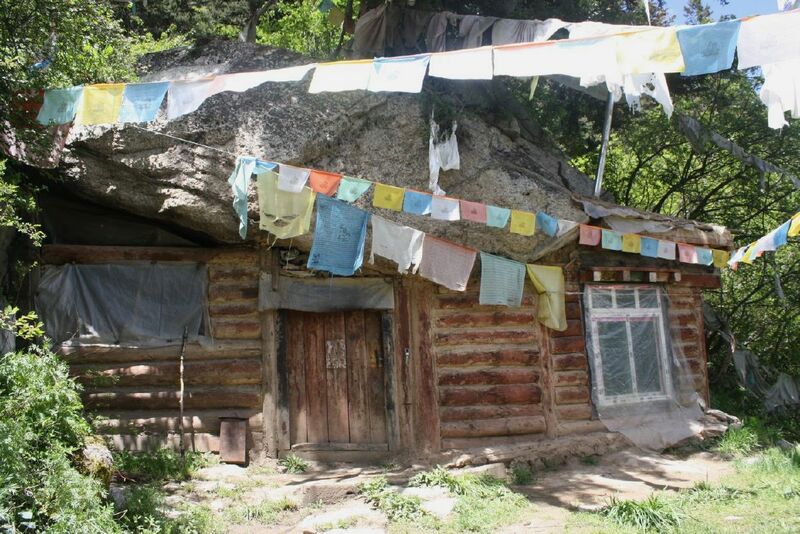 A retreat centre was already established in the 18th century, but numerous practitioners then and now prefer more rudimentary and solitary quarters, whether wooden cabins or mountainside caves. 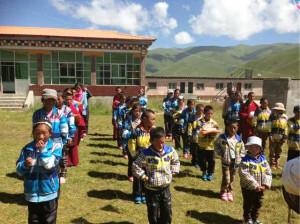 Today, male and female retreatants still play an essential role in Tibet. Both their positive influence and the qualities and knowledge they develop and will be able to pass on, are highly valued by Tibetans. Retreat cave interior. Centrepiece of these austere quarters is the altar with its statues and texts, the practitioner’s meditation supports. Cave of Dzogchen Patrul Rinpoche, near the tree line, at about an hour’s walk from the village. 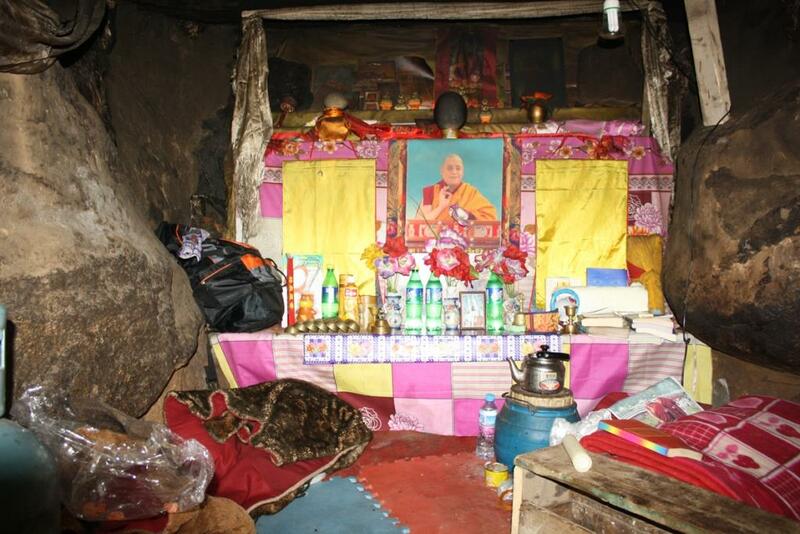 A practitioner is currently on a 3-year retreat in this cave. Certain caves are particularly famous for having sheltered great masters. 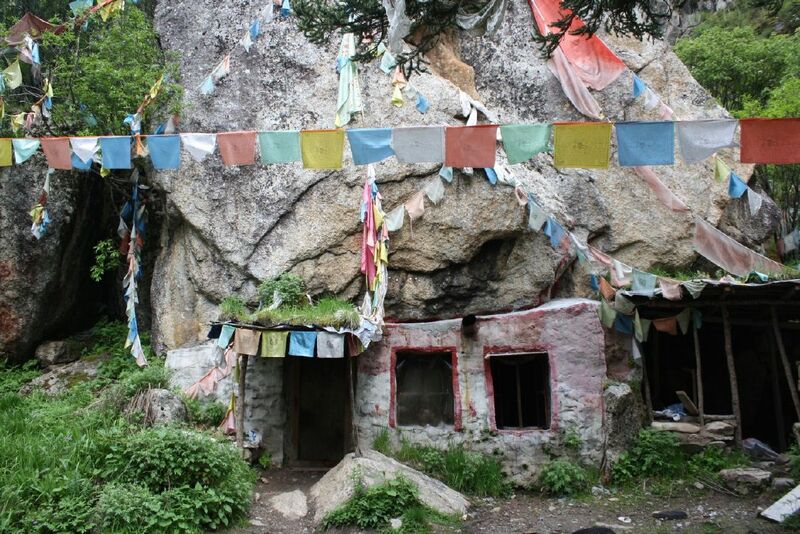 It was in a cave overlooking the Dzogchen valley that Dza Patrul Rinpoche (1808-1887) composed his famous book ‘The Words of my Perfect Teacher’, still one of the most used texts for its instructions on Buddhist practice and meditation. – the Luxembourgian students of Karlsruhe, who organise a sponsored cycle tour back to Luxembourg at the end of every university year and have chosen the Sambhota school as their good cause of the year.